Brainwashed - "The Folklore of Plants, Volume I"
"The Folklore of Plants, Volume I"
This latest Folklore Tapes collection is a perfect illustration of why they are possibly the most unique and fascinating label around, assembling 31 different artists to create free-form sound art based upon their research into a specific plant. I certainly like the concept and appreciate the depth and breadth of their commitment to it (there is accompanying literature, a film, and a pack of seeds), yet none of that would matter all that much if the music was underwhelming. As it happens, the music is absolutely wonderful, as the many brief and varied vignettes form a wonderfully surreal and kaleidoscopic whole. A few of the participants were familiar to me beforehand (Dean McPhee, Bridgett Hayden), but most were not and nearly every single one brings something delightfully bizarre, hallucinatory, or enigmatically esoteric to the table. It is quite hard to conclusively pin down "the Folklore Tapes aesthetic," as it can shift significantly from release to release, depending on both the theme and the participants involved. However, there are definitely several fertile strains of subterranean music that tend to frequently find a home on the label. Obviously, any label devoted to folklore is undoubtedly going to have some folk/traditional music, but even that is rarely presented in its expected form, instead embracing the magical unreality of a folktale. The sole exception to that rule here is Jennifer Reid’s a capella performance of "Let No Man Steal Your Thyme." More typically, Folklore artists opt for a more illusory vision of "traditional music" that feels ancient and ritualistic, such as the haunting drones and rattling strings of James Green's "False Shamrock." The other threads, of course, are considerably more outré. Naturally, no UK folklore-themed collection would be complete without a bevy of half-kooky/half-creepy retro "library music" artists, best represented here by Belbury Poly's gleefully blooping "Hawthorn" (the unexpected jaw harp is an especially nice touch). The dominant aesthetic on this particular release, however, is collage. That form lends itself quite nicely to the unpredictable and hallucinatory atmosphere of the album, also lending itself quite nicely to the occasional spoken word performances. That said, there is also another harder-to-define category, which is can best be described as "batshit crazy." In that regard, Hugh Metcalf steals the show, muttering and jabbering about jasmine over some clattering that sounds like a bucket and some random kitchenware. Also, his piece definitely sounds like it was "composed" on the spot and recorded on a boombox. While definitely a piss-take, it is quite an endearing one and does not feel out of place amongst the other efforts. Part of the beauty of the collection is that everyone is essentially on the same footing: an accomplished musician, a lunatic in his kitchen, and an herbalist all have roughly a minute to make an impact however they can, which brings out a lot of creativity and ingenuity. The scholar and fool each have an important part to play in this strange tableau, as do children and animals. While there are many individual pieces that stand out as particularly inspired, the real magic lies in how the pieces flow together as an absorbing and deliciously phantasmagoric whole. An album filled completely with people reciting recipes or describing the properties of nettles probably would not be very good, but in the context of The Folklore of Plants' deeply lysergic flow, those moments appear as beautifully disorienting oases, like flicking snatches of actual memories creeping into a singularly bizarre and shifting dream. 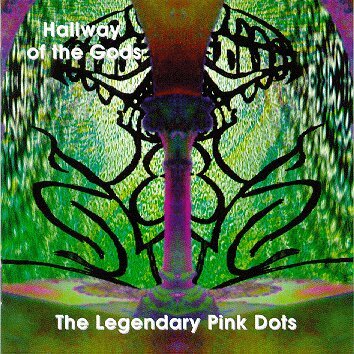 Of course, much credit must go to the handful of artists that devoted themselves wholeheartedly to making this collection such a mind-warping plunge into a half-sinister/half-blissful funhouse of unreality in the first place. My favorite is probably the duo of Carl Turney and Brian Campbell, who celebrate the virtues of robert geranium with a deranged fantasia of pounding drums, odd beeps, chopped and distorted speech, and a child listing the herb’s various other pseudonyms (“death comes quickly” being one of them). Elsewhere, Folklore Tapes mainstay Ian Humberstone salutes red bog moss with something that sounds like a crackling field recording of a séance with a supernatural cat. Magpahi’' ode to mugwort is similarly haunted, as Alison Cooper quietly sings a melancholy melody over a sickly and brooding bed of thick analog synth tones. Less unnerving, but similarly striking, is Mary Stark's “Lavender,” in which a pretty Siren-esque voice floats through a shifting collage of nature sounds, city noises, and random radio transmissions. David Chatton Barker’s "Elder" is yet another sublime plunge into the unearthly, weaving together uncomfortably harmonizing drones, strangled feedback, and a host of grinding and crackling textures. My sole critique is simply that extreme brevity suits some artists better than others, so an artist like Dean McPhee (who specializes in slowly shifting extended pieces) is not able to play to his strengths. Necessity is the mother of invention, of course, but there are certainly some pieces that feel like mere glimpses of something more substantial rather than a self-contained and discrete soundworld. Lamenting how an individual piece in a perfect mosaic could have stood out more effectively completely misses the point though: Folklore Tapes have crafted quite a singular labor of love here and it is an absolutely beautiful thing to behold. 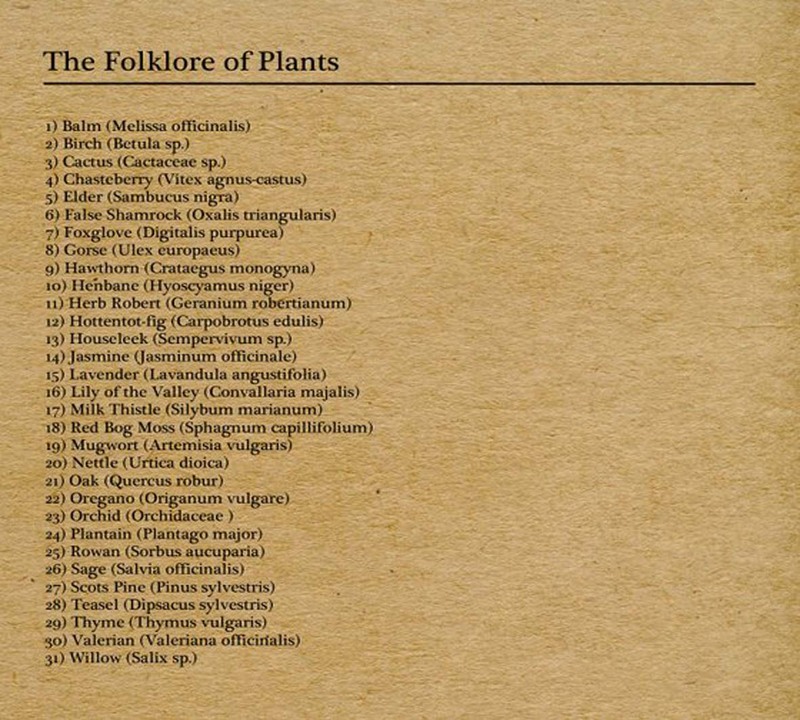 As a compilation, The Folklore of Plants is certainly a deeply inspired collection of divergent and compelling artists, but it also offers something far more transcendent than that, stripping away all the noise and empty distraction of the modern world to reveal a window into something considerably more timeless, haunting, and ineffable. James Green, "False Shamrock (Oxalis triangularis)"
Mary Stark, "Lavender (Lavandula angustifolia)"